Bladder problems are common in children and young people of all ages. The commonest problem is night time wetting. However, children and adolescents can also be affected by wetting during the day, having to rush to get to the toilet (urgency), or having to go to the toilet more often than is normal (frequency) or a combination of any or all of these. Less common problems include urinary tract infections (UTI). Some children are born with problems affecting their kidneys, bladder, ureters (the tubes that connect the kidneys to the bladder), or urethra (the tube from the bladder, that the wee comes out of). These problems are quite rare. Initially it can be difficult to understand why a child or young person has a problem with their bladder and sometimes parents or carers might think it is a behavioural problem, or that their child is being lazy. For younger children it might be thought that they are not ready to toilet train. However, these are very rarely the case. Most children are dry in the day by the time they are three years old and at night by the time they are five. If a child has additional needs, it may be thought any delays in achieving dryness are related to the disability. However, all children with daytime wetting, frequency, urgency or any bladder difficulty should be offered an assessment and treatment if appropriate. Parents and carers should ask for help if a child is still having bladder or wetting problems when they are approaching the age of five, or sooner if the problems are impacting on quality of life or school attendance. (For problems with toilet training see the section of our website on toilet training). Bladder and Bowel UK provide training packages for professionals and have a variety of information leaflets available to help families, children and professionals understand the problems and options for support and treatment. 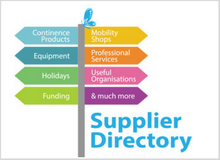 We also provide a national confidential helpline: telephone 0161 607 8219 or via email at bladderandboweluk@disabledliving.co.uk. If there is no one available to help you when you call, please do leave your contact details and we will get back to you, although this may not be the same day.